I put this puzzle down for the last 2 months. Decided to pick it up while watching a movie. 1 new idea....and the puzzle became simple! Solved in less than an hour. Update: scrambled it again, situation is very different. Must figure out supplementary algorithms. 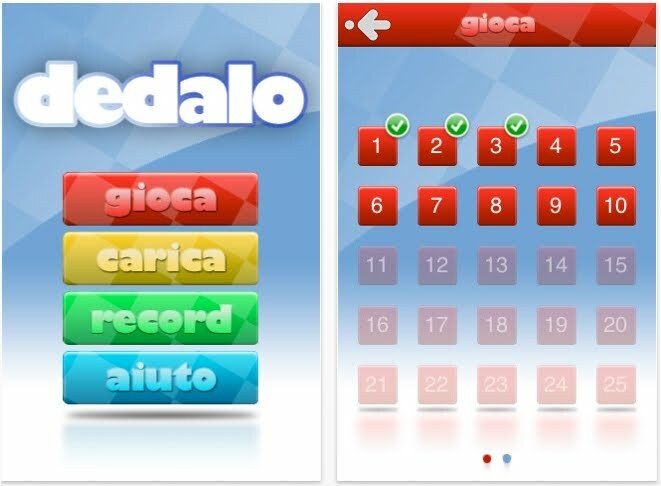 My Italian publisher produced an iphone puzzle app for Lab Mice Puzzles. The user interface has a different feel to it. Please download Dedalo and review it on the App Store. Grazie! 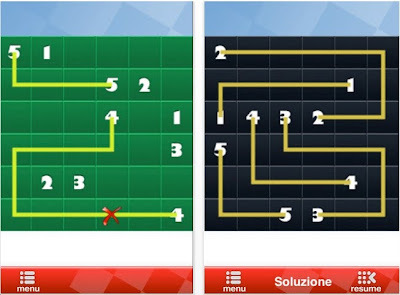 http://www.mixelweb.it/dedalo.php Un labirinto, un rompicapo, una serie di numeri da combinare: Dedalo! Un passatempo dove l’astuzia, la rapidità e la precisione saranno le uniche armi in nostro possesso. 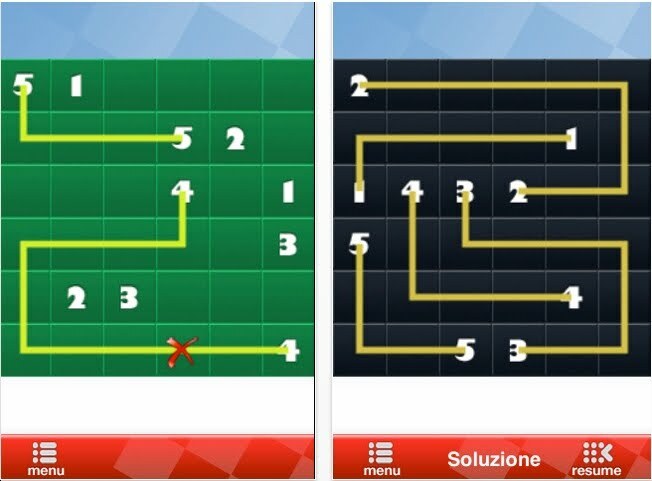 Risolvi i livelli, sblocca i successivi, e completa i 50 scenari di gioco, solo allora potrai risolvere il rompicapo del labirinto. Combina le coppie di numeri uguali tracciando linee precise ma fai attenzione! Le linee non potranno mai incrociarsi, solo una è la strada corretta. Lo scorrere del tempo farà diminuire il tuo punteggio quindi allenati per diventare sempre più veloce e completa i labirinti con sempre meno mosse. 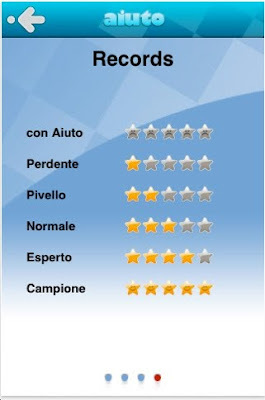 Infine condividi la tua vittoria, esaltando le tua abilità, pubblicando il tuo record su Facebook e Twitter. La tua vittoria sarà visibile a tutti i tuoi amici! Colorbind is the brainchild of Daniel Lutz. The object: move and wrap the blue ribbon over the blue dots. Do the same with each color. There are a couple of other rules - better that you discover them yourself. Spoiler: Some dots cannot be covered with 2 different colored ribbons while other dots can be covered. There's no way of knowing! So, you may discover a solution that's arbitrarily not valid. This Mechanical Puzzle Correspondent has solved 80/84 levels over a 2 week span. $1.99 provides many hours of challenges & entertainment. Far less than the price of a movie or even a Starbucks coffee. 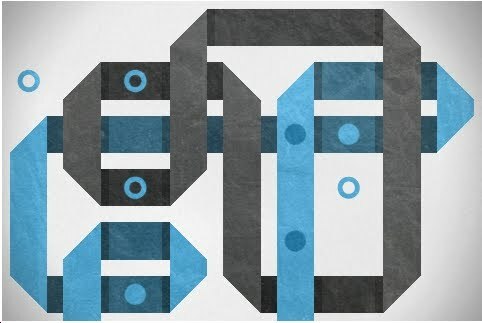 Bravo to Daniel Lutz who created these very unique puzzles. Do you watch the news? CBS? CNN? FOX? MSNBC? 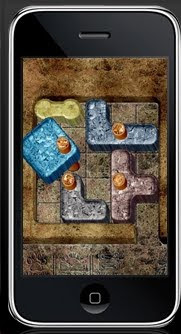 I usually listen to the news while playing various puzzle apps on the iphone. Gold Mine is pretty darn good. The object is to swivel each piece around its fixed point and smuggle the gold nugget out. Some would consider this an advanced form of Rush Hour. 80 levels for $2.99 Well worth the price. I completed all levels in about 2 weeks. #68 took me the most time. Bravo to Alex Polonsky & Boaz Feldman for a great set of challenges! Many years ago, a Law teacher came across a student who was willing to learn but was unable to pay the fees. The student struck a deal saying, "I will pay your fee the day I win my first case in the court". The teacher put forward his argument saying: "If I win this case, as per the court of law, the student has to pay me as the case is about his non-payment of dues. And if I lose the case, student will still pay me because he would have won his first case. So either way I will have to get the money". Equally brilliant, the student argued back saying: "If I win the case, as per the court of law, I don't have to pay anything to the teacher as the case is about my non-payment of dues. And if I lose the case, I don't have to pay him because I haven't won my first case yet. So either way, I am not going to pay the teacher anything". This is one of the greatest paradoxe ' s ever recorded in history.